Closeout. 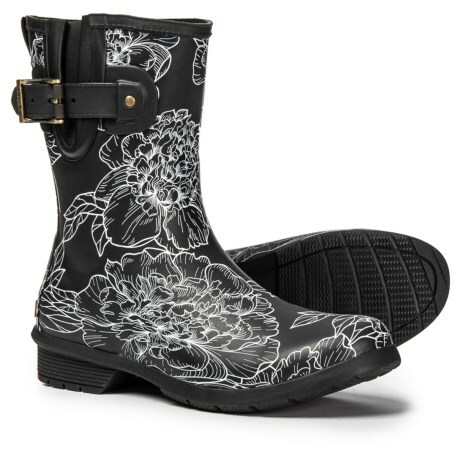 Slide into these Chooka Cora floral print rain boots and enjoy waterproof protection with a bit of edgy short-boot style. Available Colors: BLACK. Sizes: 6, 7, 8, 9, 10.